Google is often accused of behaving like Big Brother, and Google's CEO Eric Schmidt isn't doing much to dispel those perceptions. In fact, in an interview with the Wall Street Journal, Schmidt dropped an interesting -- and frightening -- tidbit: perhaps people should change their names upon reaching adulthood to eradicate the potentially reputation-damaging search records Google keeps. "'I don't believe society understands what happens when everything is available, knowable and recorded by everyone all the time,' [Schmidt] says. He predicts, apparently seriously, that every young person one day will be entitled automatically to change his or her name on reaching adulthood in order to disown youthful hijinks stored on their friends' social media sites," the Wall Street Journal reports. This isn't the first time Schmidt has made parental -- and borderline moralistic -- statements about Internet behavior. Late last year Schmidt told CNBC that "If you have something that you don't want anyone to know, maybe you shouldn't be doing it in the first place." Schmidt's offputting statements don't do anything for his company's repute, and are in direct contrast to Google's increasingly-ironic motto: "Don't be evil." Still, it's possible that Schmidt is making a joke that the Wall Street Journal took too seriously. Schmidt has made comments in the past about how posting excessive personal information on social networking sites can damage one's ability to get a job in the future. But if he was joking -- or even half-joking -- it's these types of comments that motivate the paranoid to change their locks. To some, Google can be seen as behaving especially evil lately. Most glaringly is the net neutrality fiasco with Verizon, in which the companies are for new Web standards in which users would pay premium rates to access content such as critical health care services and online gaming platforms. Critics have blasted this stance as highly damaging and have called the proposal "worse than feared." There's also the case in Switzerland accusing Google of silently stealing users' personal information over unencrypted Wi-Fi networks. Google stores data about search habits for nine months as compared to Bing's retention period of six months and Yahoo's three months. (Of course, this doesn't mean the information that came up in the search disappears, or that it can't be retrieved again). However, Google simply makes this trend data anonymous, rather than scrubbing the entire IP address. 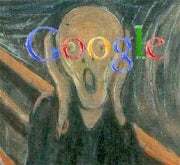 Google removes only the last octet of the IP address, "which means there are 254 possibilities for the IP address in question (.0 and .255 are reserved addresses)," According to Ars Technica. Bing removes the entire IP address, and Yahoo eradicates everything. The list goes on and on. Privacy issues exist with Google Social Search, Google recently modified indexing of Gmail messages to address concerns over transcribed Google Voice e-mail messages showing up in the search engine, Google's Dashboard has raised hairs, and even the embryonic Chrome OS has raised privacy concerns. TechCrunch's Jason Kincaid also sees the reasonableness of Google's CEO's comments: "Schmidt may be envisioning a centralized system where such critical background information is available to employers without their needing an applicant's full name, which could make a name change worthwhile. Fair enough." Still, I tend to agree with Computerworld's Preston Gralla's assessment in that Google may have one-upped Orwell. "George Orwell's dystopic imagination in 1984 couldn't ever venture this far. He imagined a government knowing everything about you. Even he didn't see that it might be private industry one should instead be scared of."